Delaware areas own Wasted Theory has been tearing up the Stoner and Doom Metal circuit for some time now. Forming when Drummer Brendan Burns placed an add in the local Craigslist , and finding vocal and guitarist Larry Jackson Jr. the band was formed. Later Andrew Petkovic and Corey Pettingill joined the band. 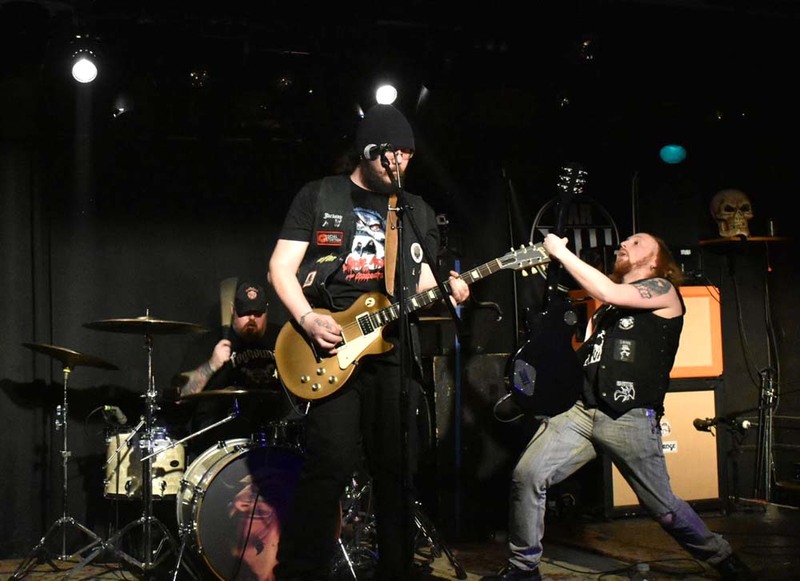 Stemming from influences like Corrosion of Conformity and Alabama Thunderpussy, Wasted Theory brings their own version of American Weed Rock with a touch of flare only seen before in bands like Motorhead. I was fortunate to sit down with Wasted Theory before their headlining show at Bar XIII in Wilmington, Delaware.